I met Einstein this morning*. You never know who you might meet when you go out for a jog! Today I was, once again, running in the beautiful woodland of the Blaise Estate, alone among other joggers, dog-walkers and young mothers (mostly) with babies in push-chairs. Fragments of thoughts about what was going on around me weaved themselves in with fragments of thoughts about this project. After an initial surprise (who calls their dog Einstein?!) my mind was off wondering how history may have remembered Albert Einstein if theories about “the autistic spectrum” had been developed before his lifetime, rather than during and after it. How might an early diagnosis of autism have affected his life, what sort of education might he have had, what type of school might he have been sent to and what career might that have led to? This made me remember meeting a self-declared “autism specialist”, who told the story of how, as a three-year-old, he had displayed many behaviours currently associated with autism. He told us how, in the early 1960s, his mother had taken him to a doctor who had concluded that “there was nothing wrong with him”, yet if, today, he had to assess a child with similar behaviours he would almost certainly label the child autistic. I remember thinking if he ever wondered how a diagnosis of autism might have affected his future, or how his diagnosis may affect the lives of the children he assesses. Looking back, I wish I had asked him. From there I went on to think about people’s understanding of “normality”. A few years ago I published an article about autism, suggesting that we need to expand our understanding of what is “normal”. The article said that my understanding of normality is not shaped by assumptions of what is shared by most people; instead, it is shaped by a sense of what is a natural expression of our shared humanity. Today* I visited a primary school which has a resource base for children with labels of “profound and multiple learning difficulties”. Every pupil who attends the school as part of the resource base has a place in one of the ordinary classes alongside their peers and is included in all aspects of school life. Space that could have been a separate classroom for resource base pupils is used, instead, as storage space for their equipment. Wheelchairs, standing frames and such like are welcome here, seen as an integral part of some children’s lives (valued almost like an extension of their arms and legs, as a colleague and friend once said to me). As we walked through the school we saw a group of children taking turns to run under a large parachute. I commented on the generous adult:child ratio and, perhaps even rarer these days, the presence of men among the adults. I wondered if they might be students, or parent helpers. The headteacher told me that the larger ratio is because of the resource base and that, when appointing new staff, the school makes it clear that applications from men are welcome. I asked how the wider school community feels about including disabled children. In the past, apparently some parents had been worried about this and expressed concern that it might interfere with their own child’s learning. The school welcomes such comments as an opportunity to discuss things openly. Staff have always been clear that, as a community school, they have a responsibility to all local children, all of whom are welcome. If a child needs significantly more help to learn, they usually come with additional money which pays for learning supporters in class. This means there is a higher adult:chid ratio, stronger attention to differentiation and more opportunities for children to better understand each other. For all these reasons, all children benefit from learning and developing alongside one another. Disabled children routinely choose a ‘buddy’ to go with them to sessions in the hydrotherapy pool, sensory room and such like. This, too, benefits everyone: it gives non-disabled pupils valuable insights into disability and helps cement friendships. It’s easy to think of schools as places where teachers teach and children learn, and all too easy to forget that children learn a lot from each other as well. I am always pleased to see schools which treat impairments as an ordinary part of life, and this school is no exception. I was particularly impressed to see a young boy finishing off an activity at a table, then helped into his wheelchair to move to the next activity. A member of staff moved his backpack from the back of the chair to the back of his wheelchair and later casually mentioned that this contains his oxygen supply. I had not, until that moment, noticed the thin tube running from the backpack to this child’s nose. My hunch is that not many people in the school notice it much either. It’s hard to pinpoint the start of this project, but here is one way of tracing its roots. When the Equality Act (2010) came into force, CSIE started offering workshops for schools throughout England on making equality real. All participants gave us excellent feedback and many said that every school should attend, but bookings remained low. At the same time, young people were telling us about widespread homophobic bullying in their schools and its detrimental effect on their learning. The 2012 Ofsted report “No place for bullying” confirmed that much still needs to change in schools, especially for lesbian, gay, bisexual and trans (LGBT) people and for disabled people. We transformed our training events and went around the country once more, this time with workshops on reducing homophobic and disablist bullying in schools. It was the same picture: low take-up, yet excellent feedback from those who came. 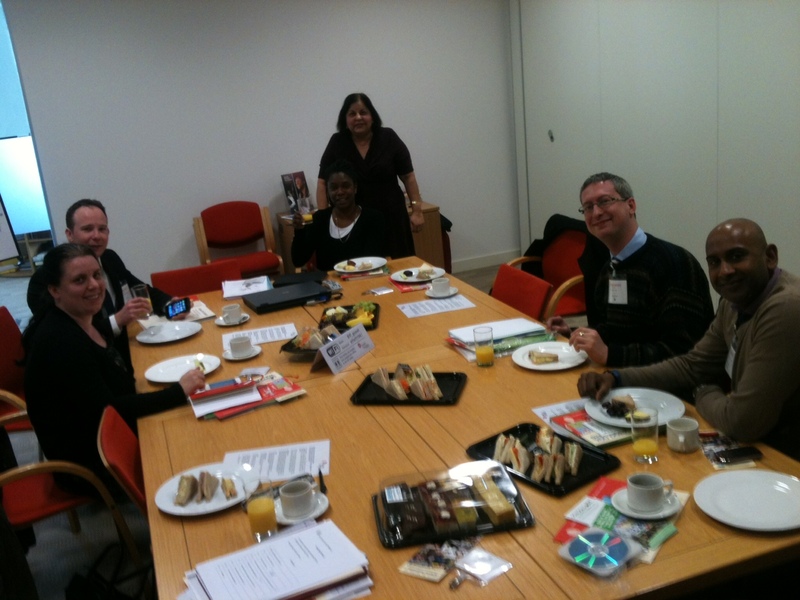 In June 2013 we organised focus group meetings to help us understand how best to help promote equality in schools. The need for user-friendly materials offering practical information for schools was clearly and repeatedly expressed. And from there, this project was born. I went out for a jog this morning. Yes, this blog starts in the middle. I have been meaning to start it for months, but too many other commitments (and, if I am honest, feeling a bit scared by the Unknown World of Blogging) got in the way. I have been writing blog entries for weeks, short pieces here and there, but never got round to setting up the blog. Until today. 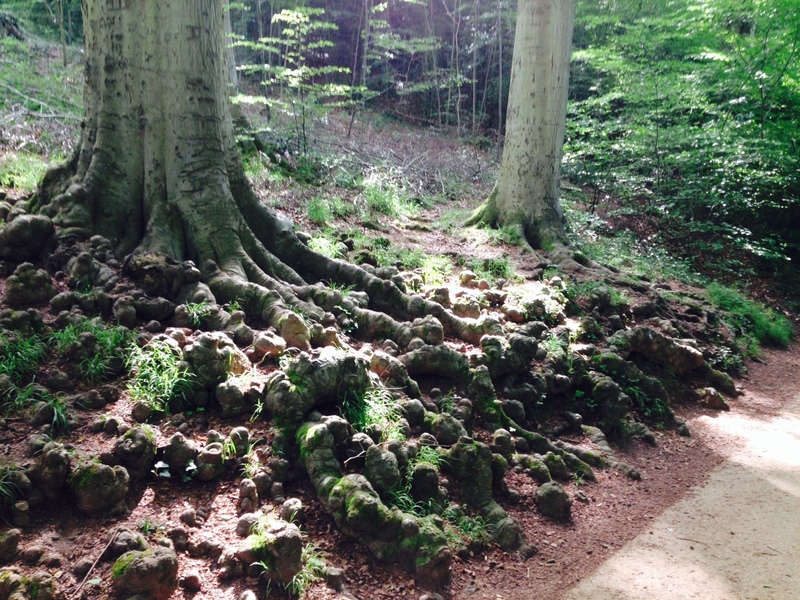 I noticed these gnarled roots as I was running, you see, and was intrigued by them. Two trees side-by-side, looking so similar to each other, yet having astonishingly different roots. I stopped running and stared in amazement at roots that look more like stones. I took this photograph, then carried on jogging, letting my mind run with the memory of the roots. This is how the blog could be, I thought to myself. It might be rooted in unease or uncertainty, but a blog that grows out of these routes (or roots) can be just as vibrant and attractive as any other.